that his salvation by the way of love is hopeless. Every now and then I like to step away from the keyboard and present a special guest article from one of the readers. I don't do this often, but there are times when it is nice to take a break for a week from my writing ministry. Also, it's good for you, the readers, to have an opportunity to ponder the thoughts of one of your fellow Reflections readers. In this week's issue I believe you will be especially blessed by the tremendous insights of a very dear friend and brother-in-Christ who has been a great supporter of my Reflections for quite some time!! 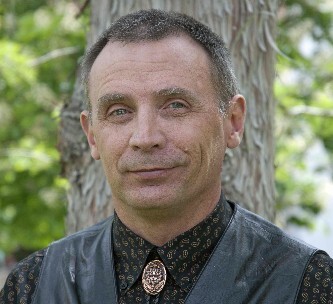 Dr. Barry L. Perryman, Ph.D. is a professor of Rangeland Management at the University of Nevada-Reno, and he has served for over 30 years as a Bible class teacher, a song leader, a deacon, and a part-time evangelist. This dear brother is also the author of the powerful book A Call to Unity: A Critical Review of Patternism and the Command-Example-Inference-Silence Hermeneutic, a fabulous work for which I was given the honor and privilege of writing the endorsement printed on the back cover! For those who might like to contact Barry, he can be reached at -- bperryman1296@charter.net. Barry's above referenced book was the focus of several of the articles in the June, 2011 (vol. 55, no. 6) issue of Truth Magazine (an issue in which my work was also attacked a number of times), which was a special issue titled "Hold Fast the Pattern of Sound Words." Barry wrote me, "I guess my book is finally having some effect since they decided a special issue was needed to address it. However, the arguments they used are the same old twisted logic nonsense. It's as if they didn't even read the book because all of their arguments are addressed in it." This is very typical of the hardened legalists. They remind me of what the apostle Paul had to say about such persons --- "They do not understand either what they are saying or the matters about which they make confident assertions" (1 Timothy 1:7). When the Contending for the Faith crowd viciously attacked my first book Down, But Not Out repeatedly and at length in their 2010 Spring Lectureship Profiles in Apostasy #1, it became obvious very quickly that they really didn't have a clue what was in my book or what I really believed. The same was true of the other books they reviewed in that lectureship. That very same spirit was evident with respect to Barry's work as it was "reviewed" in Truth Magazine (a publication of the Non-Institutional Churches of Christ). The following article is from Dr. Barry Perryman's pen (keyboard), and I believe you are going to be both challenged and encouraged by his insights. I am pleased to present it for your careful and prayerful consideration! If you have any comments or questions about what he's written, and would like to write to him about them, I know he will be more than willing to respond. By the way, for additional insight into the topic about which Barry writes so convincingly in his article below, I would encourage a study of Reflections #158 --- Grace and the Caveman: Pondering the Parameters of Divine Acceptance of Human Response to Available Light. As with my own writings, the following study is designed simply to get you to think; to do some serious reflection. You may agree with what you read; you may disagree. Either way, may each of us embrace and evidence a "Berean spirit" (Acts 17:11). In the words of the apostle Paul, "Examine everything carefully, and hold fast to that which is good" (1 Thess. 5:21). Is Salvation Dependent Upon Hearing the Gospel? Or, Who is My Brother According to Scripture? On one of my recent trips to Turkmenistan, I decided to visit the Russian Orthodox Church in Ashgabat. I was detained on Sunday so I ended up dropping by on Monday which happened to be a special day of celebration according to the Russian Orthodox calendar. There were quite a few people there, mostly women, but certainly very dedicated; dedicated because Christianity of any form is frowned upon by many governments, and the Russian Orthodox church is no stranger to Soviet and Muslim scrutiny. After the ceremony and ringing of the bells, I entered the 19th century sanctuary and marveled at the Byzantine style artwork that covered the inside. It was amazing! But more amazing was this little old Turkman woman, less than 5 ft. tall and 75 lbs, a widow with little or no means of support. She came there to sweep the wool carpets that lay at the doorsteps of the sanctuary. This is all she had to offer to God. As I exited the sanctuary, I took her hand and slipped her what I had in my pocket, 50 manat (about $17), and bent over to give her a hug and thank her in my crude Russian for what she was doing. She said something to me in Turkman. My driver, a young Turkman who spoke a little English was standing nearby. He told me she said she would say a prayer and light a candle for me that day. And there it hit me: what I have been thinking and teaching about for 30 years was staring me in the face. Throughout the world of the Stone-Campbell faith-heritage (particularly the Churches of Christ) is a teaching that dictates a series of actions that places an individual into God's kingdom. It is usually encountered in this format: "What must I do to be saved?" or "What must one do to be saved?" Consistently, the answer provided is that there are five steps (actually six) required for salvation: 1) Hear, 2) Believe, 3) Repent, 4) Confess, 5) Be baptized, and 6) Live faithfully. Step one is a prerequisite to step 2, and so on. The teaching is that one cannot be immersed into Christ Jesus and thus saved unless one has first heard the Gospel, believed it, confessed his or her belief, and repented of previous sins. (In truth, this teaching is hewn out of multiple scriptures written by different authors for different purposes, and taken out of context in order to construct the formula; another essay for another time.) Most importantly, the formula dictates that this and only this sequence of actions is required for salvation, and it is this specific teaching that is out of step with the Gospel message itself. This formulaic approach to salvation is not the process prescribed in New Testament scripture, and it is hopelessly flawed. Rather, what is taught by New Testament writers is a process of entering a formal covenant with God in conjunction with becoming a disciple of Christ. Yes, it is true that one cannot be immersed into Christ without hearing of Him as the Messiah, but is one without hope just because he/she is a victim of geography or cultural origins? This two part essay addresses the so-called requirement of hearing the Gospel in order to be made and considered righteous by God. The fundamental problem we encounter with this formulaic approach is that New Testament scripture completely and utterly contradicts the entire notion of hearing the Gospel as a prerequisite for being considered righteous by God. What the New Testament writers do teach is that hearing the good news is the path that leads to a new covenant relationship with the Creator, and an enduring discipleship. If you have stayed with me so far, I hope you will take the time to read the rest of this essay. Let's take a hard and honest look at scripture and think about this topic for awhile. The hearing requirement presupposes that in order to be redeemed, one must first hear how to be justified in the sight of God and then comply with the next five steps of the formula. This places the burden of salvation on actually hearing the good news. The burden of salvation is placed on the receiver's opportunity for hearing, not on what is in their heart, and certainly not on the righteousness of God which is the source of justification. The formula teaches that if a good, moral, sincere, God-fearing person who hungers and thirsts after righteousness dies without hearing the Gospel, he/she cannot be saved. This begs the question: is their second death fate sealed simply because the good news of Jesus never reached their ears or homeland; or because they had an imperfect understanding of all things Christian? Wouldn't this make God out to be fickle, a partisan Creator, a respecter of persons? If hearing is necessary, then salvation comes only by chance or luck, or by providence sending it where it wishes. You can hear the questions as otherwise righteous people throughout the ages since Peter's first Gospel oration exclaim: "You would condemn me to Hell because I never had the opportunity to hear about the propitiation of Jesus?!" We must remember that salvation is based on the righteousness of God (Romans 3:21-26). He has demonstrated His righteousness for all to see; no accusation can be made against Him. If redemption depends completely on whether or not one has the opportunity to hear the good news, then it depends on the fickleness of God rather than His righteousness, and a legitimate accusation can be made. I have even been told by several folks over the years that God sends his Gospel message only to those He knows will accept it. If it did not reach their ears, it is because God knew it would be a waste of time. Doesn't scripture tell us that Jesus died for everyone (1 Peter 3:18)? If this is true, then anyone has the potential to accept the good news. However, if they have no opportunity to hear it, then what was the purpose of Jesus dying for all? Here is reality, think about it: if you yourself had been born in Saudi Arabia, you would have been born a Moslem; if you were born in Israel, you would have been born a Jew; if in Italy, a Roman Catholic; if to an aboriginal family in Australia, you would have been born into their beliefs and understanding. You could well have lived your entire life and never heard or read of Jesus. Being born in America definitely improves the odds that you will hear the good news. But if you were born to a Mormon family, for instance, you would have been exposed to Mormon teachings, and the odds are high that you would espouse them. The formulaic doctrine was taught to me as a young man, and I too espoused it for a time. Has being born in America caused the purveyors of the formulaic salvation doctrine to become arrogant? It is true that one must hear how to enter into a new covenant relationship with God, but is a covenant relationship the only avenue to justification by God? Scripture addresses this issue in a number of places, and especially in Paul's letter to the Romans. Are there Old Testament records of folks who were declared righteous by God who were not in a formal covenant relationship with Him? Yes, there are: Enoch, Noah, Melchizedek, Job, and Abraham come quickly to mind. In fact, in Paul's letter to the Roman church, he uses Abraham as his case in point to explain to Jewish Christians that Abraham was declared righteous prior to his circumcision (i.e., his entering into a formal covenant relationship with God, Romans 4:10). Paul previously states, and goes on to explain again, that it is not those who have actually been circumcised who are declared righteous, but those who have been circumcised in their heart, who instinctively do what God's law requires (Romans 2:26; Romans 4:11-12). In other words, they are justified even though they have not entered into a formal covenant with the Creator. These are Paul's words, not mine! I urge you to read again the first four chapters of Romans. In Acts, Cornelius was called devout (righteous) before he heard the good news, before he entered into a formal covenant relationship through baptism. The fact that the Holy Spirit descended upon Cornelius and his household prior to their baptism has always been an impossible thing for formula-driven folks to explain since the party line is that Cornelius was a good man, but lost because he had not yet been baptized. The formulaic approach blatantly ignores the simple statement that Cornelius was declared righteous before he heard the good news. The episode of the Holy Spirit falling on them prior to baptism runs in sharp contrast to the chronology of the formulaic doctrine, and it never receives a satisfactory explanation. We can also cite several other God-seeking folks in the New Testament writings: Apollos (Acts 18), God-fearing Greeks (Acts 17:4), Lydia (Acts 16:13), God-fearing Gentiles (Acts 17:17), disciples (Acts 19:1-7), and those Paul was seeking for at the place of prayer by the river in Philippi (Acts 16:13). None of these were declared lost before they heard the good news; they simply renewed their relationship with God as a result of hearing about Jesus, by entering into a formal covenant with God through baptism. Let's take a look at a specific case that is regularly overlooked, even though it is right under our noses: the first Pentecost after Jesus' ascension, the day that the salvation formula is taught to have come into existence. The formula teaches that this was the first day humans had the opportunity to hear the gospel so that the Lord could justify them. It is regularly referred to as the first Gospel sermon, and is recorded in Acts 2. Verse 5 declares: "Now there were Jews living in Jerusalem, devout men from every nation under heaven." These Jews the text refers to were devout practitioners of God's commandments who were in Jerusalem on the day of Pentecost. Jesus' disciples and Messianic Jews would have been part of the makeup of this group, including Mary, Martha, Lazarus, the apostles, those baptized by John the Baptist, and many more of Jesus' followers. They had come to Jerusalem from their homelands scattered across the middle-east and Europe. Now, if they were righteous, devout men (and women) practicing the requirements of the Law of Moses (as scripture declares), when did they suddenly become unrighteous before God? When did their standing change? Pinpoint that moment if you can. We are told many of them were not from Jerusalem or the areas of Judea and Samaria, Jesus' primary areas of ministry. They had not heard the good news of reconciliation until Peter revealed it to them. How can they be declared devout or righteous one moment and, without changing anything in their hearts, be declared unrighteous and lost the next moment? When did they become unclean to God? When did God change the rules? They were circumcised Jews practicing what the Law of Moses required, and certainly under the impression that they were a part of the ecclesia, the church, the assembly of God. No one had informed them otherwise. So according to the salvation formula, because they had not yet heard the Gospel, they were suddenly no longer being numbered among the assembly? You can see the problem if this tenet is true. "Father, we had no way of knowing; how can you condemn us in this way? You changed the rules and did not inform us. What of our loved ones who fell asleep between Jesus' resurrection and this day of Pentecost? You have nullified our covenant without telling us!" If the six step salvation formula is accurate, God nullified His covenant without telling them for a period of 50 days. Unthinkable! God did not erase the precious names of these dear, devout ones only to reinstate them after their immersion; rather they renewed their formal covenant with God on that day. After all, it is a new covenant is it not? Yes, many of them were wounded in conscience (verse 37). Many of those present lived in Jerusalem and the surrounding area; these indeed witnessed Jesus' teachings and crucifixion, but did not believe He was the Messiah until Peter made them aware of it (verse 36). These were the ones wounded in conscience. Those who had already come to the realization that He was the Messiah had no reason to be wounded in conscience, and neither did those who had no real knowledge of Him. Restating Paul's point in Romans chapters 2 and 4, we can understand: It is not those who have formally covenanted with God who are justified, but rather those who live as though they have a formal agreement with Him even though they have heard of no such agreement. Paul goes on to say in Romans 13:8, "...for he who loves his neighbor has fulfilled [the] law." What law? It is the moral and ethical components codified in the Law of Moses that all men have always been subject to. It is this ethical and moral component that Jesus, the apostles, and New Testament writers appealed to as a basis for Christian conduct. Paul cannot be referring to the sacrificial aspects of the Law of Moses, for they no longer had any validity for justification; in fact, they never provided justification. The question must be answered: If one has never heard of the propitiation of Jesus, how can that one be held accountable for it? A man can only be accountable for what he hears and understands; a pass is always given to children and the simple-minded. It is an undeniable fact that some folks lived (and live) God-fearing lives, adhering to the moral and ethical teachings of God, without ever hearing the good news about reconciliation or the numerous doctrines held by many in the Churches of Christ and the Stone-Campbell faith-heritage. This leads me back to the little Turkman woman. All she knows about God is what she has been taught. Granted, some of the doctrines to which she has been exposed are erroneous and not based in scripture. I am certain she is illiterate, and no one who speaks her language will likely come to teach her anything different. However, she obviously knows what our Creator wants from us: to love God and our neighbors (Matthew 22:35-40). She was practicing her conviction on that Monday morning I met her. I felt honored and humbled that night, and since, to know this little woman, who is living the life of a Christian in a place where she has been hindered by the government. This little old woman, who possessed nothing but her faith in God and His only begotten son Jesus, lit a candle and prayed for me. And now, you have been blessed by her as well, this servant of the Lord Jesus. Now, does all of this change the message of the Gospel? Absolutely not! Those who have been baptized into a covenant relationship with the Father must still spread the news of reconciliation. Is it better for a man or woman to know about Jesus and the fulfillment of propitiation than not to know? Of course it is better! Great news has come from above; God has demonstrated His righteousness for all to see! In part one of this opus, we looked at the often taught necessity of hearing the Gospel message in order to know and comply with the formulaic requirements God has supposedly set forth for salvation: 1) Hear, 2) Believe, 3) Repent, 4) Confess, 5) Be baptized, 6) Live faithfully. I hope it has become obvious that the salvation formula doctrine is flawed. It is not a formula for being saved; more accurately it outlines how to enter into a new covenant relationship with the Creator. In part two we now look at more scripture misused to support the hearing component of the formulaic salvation requirement. If the formulaic doctrine has validity, then two well-known passages in the New Testament are in conflict. In 1 Peter 3:21, Peter declares: "Corresponding to that, baptism now saves you -- not the removal of dirt from the flesh, but an appeal to God for a good conscience -- through the resurrection of Jesus Christ." The formulaic doctrine teaches that this verse is explicit, that baptism is required for salvation, salvation for any and everyone with no exceptions. Once again, the formula insists a person must hear the Gospel instruction in order to know what to do to be counted among the saved. Now let's look at the contradiction. Paul teaches us in Romans 2:14-16: "For when Gentiles who do not have the Law do instinctively the things of the Law, these, not having Law, are a law to themselves, in that they show the work of the Law written in their hearts, their conscience bearing witness and their thoughts alternately accusing or else defending them, on the day when, according to my gospel, God will judge the secrets of men through Christ Jesus." Just what is Paul teaching here? He is making the case that Gentiles who have no access to the Law of Moses or the Gospel can and will be judged righteous or unrighteous by the intent and content of their heart; they are a law to themselves, with their thoughts alternately accusing or else defending them. When? On that day when God will judge the secrets of men through Christ Jesus. Notice also that Paul is not using past tense, as though this fact were only true prior to Jesus' coming, but rather he says, "...when Gentiles who do not have the Law do instinctively the things of the Law," indicating that this process was still occurring some thirty years after Jesus ascended! The Gentiles he refers to had neither the Law of Moses nor the Gospel of Jesus, yet Paul says they will be judged by what is contained in their hearts. If their hearts contain the moral and ethical teachings contained in the Law, they are covered by the blood of Christ. This passage completely contradicts the formulaic interpretation of 1 Peter 3:21. How can these be reconciled? Paul's message is very plain, and cannot be explained away or distorted to fit the formulaic doctrine. Proponents of the formulaic position most often just ignore the passage, as well as the first four chapters of Romans. Usually it is just not brought up for discussion in Bible classes and other forums. It is my contention that both of these passages by Peter and Paul are easily reconcilable. We must look to Peter's statement to bring the two ideas together. If we look at the context, Peter's direct audience is a group of baptized believers. They have obviously heard the Gospel of Jesus and have carried through with immersion. They have complied with the Gospel message, immersed themselves in Christ Jesus, and in doing so entered into a new covenant relationship with God. In that sense, baptism has now saved them (i.e., the specific group he is addressing). Just as the ark was a symbol of salvation (not the flood water, as often taught), Peter tells his audience they are saved by what baptism represents or symbolizes: Jesus' death, burial, and resurrection. This is why Peter can say, "through the resurrection of Jesus Christ." Notice the passage in Genesis 6:8-9 that Peter refers to: "But Noah found favor in the eyes of the Lord. These are the records of the generations of Noah. Noah was a righteous man, blameless in his time; Noah walked with God." Notice that Noah was pronounced righteous before he entered the ark, before he was saved from the flood. To paraphrase, Peter says that just like the ark saved Noah (a righteous man), baptism now saves you (righteous men). There was an agreement between God and Noah. The agreement or covenant was: I will save you and your household from the flood of judgment, so you must enter the ark. Noah, already recognized as a righteous man, completed the agreement by entering the ark, and he was saved from the calamity. Noah was offered salvation because he was righteous. Again, Peter teaches that they are not saved by the act of baptism ("not the removal of dirt"), but by following through with the requirements of the covenant. God asks us, when we have heard the good news about the propitiation of Jesus, to immerse ourselves in His death, burial and resurrection. He asks us to immerse ourselves into His life, power, and spirit. If someone decides to enter into this agreement, they have already determined in their heart to seek God, hence they are now believing, righteous people attempting to comply with the terms of the agreement: immersion into Christ Jesus. In Romans 3:22 Paul cannot be referring to those who believe in Jesus, for he has just spoken of Gentiles who did not have access to the Law of Moses or knowledge of Jesus Himself. What are they believing in? The answer is simple, and is found in Hebrews 11:6: "And without faith it is impossible to please Him, for he who comes to God must believe that He is and that He is a rewarder of those who seek Him." One might ask, what about Romans 10:14ff? "How will they call on Him in whom they have not believed? How will they believe in Him whom they have not heard? And how will they hear without a preacher? How will they preach unless they are sent? ... So faith comes from hearing, and hearing by the word of Christ." The key to understanding this and all passages is the context. Paul begins the chapter by continuing his discussion about his countrymen and his desire for their salvation. They have a zeal for God, but not according to knowledge (Romans 10:2). They did not submit to the righteousness of God (Jesus Christ and His propitiation), rather they established their own righteousness, believing in their ability to keep the Law and follow their heritage. The whole section deals with Jews who rejected Jesus even though they had heard the message. Paul does not condemn them, or anyone else, for what they had not heard, but chastises those who did not believe what they had heard. The context must drive the interpretation. John 14:6 is often used to support the formulaic doctrine as well. The passage says: "Jesus said to him [Thomas], 'I am the way, and the truth, and the life; no one comes to the Father but through Me.'" It is taught that since Jesus is the way, one must hear the good news of His coming and what He now requires for salvation in order to be saved. Rather, the passage has a much broader meaning that includes all men and women who are recognized as righteous by God, all faithful Jews, as well as Abraham, Melchizedek, and Job, who were not under the Law of Moses. It is not a plea for baptism, as is so often taught, but a statement that explains Jesus' propitiatory purpose. Without the sacrifice of Jesus, no one can be justified before the Father. Yes, Jesus asks those who have heard the good news to come to Him, but His statement just confirms His role in sanctification: "I am the way." It simply means that Jesus is the Messiah for all men, those born before His coming, those who entered into a covenant through the Law of Moses, those who have entered into a covenant through Him, and those who have never heard of Him, yet live as though they have His teachings (Romans 2). If those who are in a new covenant relationship with the Father through Christ Jesus have their sins, of which they are ignorant, forgiven, why not those outside of covenant? Do they not have access to the same mercy that overlooks ignorance? One might say then that there is no benefit to being a baptized Christian. Paul addresses this in Romans 3:1-2 -- "Then what advantage has the Jew? Or what is the benefit of circumcision? Great in every respect. First of all, that they were entrusted with the oracles of God." Like the Jews, Christians are entrusted with the oracles of God. We have the fullness of knowledge with respect to the good news of Jesus Christ and His work of sanctification, and the responsibility to convey that amazing story to others who have not heard, or who have an incomplete knowledge of it. Paul goes on to ask in verse 9, "What then? Are we better than they? Not at all; for we have already charged that both Jews and Greeks are all under sin." Many folks do not have free and easy access to the scriptures, many have been taught erroneous information, and many have no real knowledge of Jesus and the Gospel, yet they live lives that are in accordance with the wishes, desires, and commands of our Father. They cannot help their ignorance, but they are faithful in what they do understand. It is, by the grace of God, that some folks have free and easy access to scripture, yet many of these have become arrogant because of their good fortune, thinking that somehow they are better than those who have not heard of Jesus. Is this not what Jesus condemned many of the Jewish religious leaders for? Do you recall the passage in Matthew 25:31-36? The folks that were commended by Him had never heard of Jesus, yet they lived loving God and neighbor, the very things God has required of all men throughout the ages. The text is clear that they did not even know Him, and yet they were approved, while the others who actually knew Him were condemned. Remember, Jesus was addressing the chief priests and elders (26:8) and disciples (24:1). The first three chapters of Romans are so clear, and so simple, and so beautiful, that all other scripture addressing the subject of God's acceptance must be interpreted and understood through the prism of Paul's description in Romans 2:14-16. Even the jailer in Acts 16:27-40 washed the wounds of Paul and Silas before he was baptized, a service that took more than an insignificant amount of time. Now, the application of all of this can be boiled down to a single and most important question: Who is my brother? Who belongs to God's assembly, His ekklesia, His church? Is it only those who have heard, understood, and obeyed the good news of Jesus Christ in its entirety, or does it also include those who, as Paul says, live as though they have it in their hearts, even though they have not heard? Recall the little old Turkman woman of Part 1? Who will be first to condemn her? The Church of Christ and Stone-Campbell faith-heritage world view of evangelism (which embraces what the formulaic doctrine teaches) is at odds with scripture. The Gospel is inclusive, not exclusive, in its nature. We should view others the same way Aquila and Priscilla treated Apollos. Apollos was a man who was mighty in scripture and who taught about the coming of the Messiah, but he had not yet heard of His coming. Apollos, a righteous man, was not condemned by them, nor is he condemned in scripture, rather they took the Gospel approach and assimilated him into their world before he was baptized, not after. So who is my brother in Christ Jesus? Who is your brother? Is the often taught salvation formula sound doctrine? Will you dare to question such a foundational teaching of the Churches of Christ and the Stone-Campbell faith heritage? I hope this essay has been interesting and thought-provoking for you! Now, you must decide what to do with it! Dear Brother Al, A good many years ago, when I was preaching in Florida, I came across Bro. Cecil Hook's writings. I think my mother sent me a copy of "Free in Christ," and I devoured it in just one reading! Later, I decided to share that book with my adult Sunday Bible class, and I called Bro. Hook to talk with him about it. I think he was still in Texas at that time. When I told him that I was using his book in my class, he said, "I didn't think it was permissible to use my book in Churches of Christ!" I told him that I had not asked the elders for permission!! Our class feasted on the insights into the Scriptures provided by Bro. Hook. Looking back on it all now, that was probably the beginning of the end for me at that congregation (which was actually a blessing in disguise). I heard Bro. Edward Fudge teach on his book ("The Fire That Consumes") at Pepperdine many years ago, and that was a great epiphany for me also!! Since we both grew up in northern Alabama, and he knew family members of mine over in Athens, Alabama, we became friends, and I always made it a point to find him at least one morning for breakfast during the Pepperdine lectures. You are a blessing to me, Al. Thank you! Brother Al, Thanks for your weekly Reflections. I truly love all of the "epiphanies" that people are sharing!! As a former member of the Contending for the Faith crowd, my own epiphanies have led me to a much greater understanding of God's grace, and I now bask in the freedom He has given me! I must give Bro. Edward Fudge the credit, for it was by reading his writings that my eyes were opened to the forgiveness I have. Thanks again for all that you are doing! Brother Al, I really appreciated your epiphany regarding "The Fire That Consumes." Very nicely put. I kinda had the same one, about five years ago, after decades of uncomfortable traditionalism. I just ordered several copies of the 3rd edition of Bro. Fudge's book for friends and relatives who are pastors. Wish me luck! Also, thanks for what you have been saying and doing for years!! I plan to visit your congregation as soon as we get down to New Mexico. Dear Brother Al, Edward Fudge reminded all of his readers yesterday (through his gracEmail) about your web site and weekly Reflections. Please subscribe me! I have started reading all of your articles online, beginning with #1, and also hope to work through your Maxey-Thrasher Debate. I greatly appreciate your focus on grace. Thanks, my brother!! Brother Al, Please add me to your mailing list. I would love to begin receiving your Reflections. There is an elder here where I preach who keeps reminding me of what you are saying in your writings, so I thought I had better start getting them firsthand!! Thank you! Brother Al, For a long time now, nobody seems to be mentioning Carl Ketcherside, who moved hundreds of people, including me, away from the legalistic faction of the Churches of Christ and into the freedom of "just being a Christian" and accepting others in other churches as fellow members in the One Body of Christ. The freedom he preached is still very applicable today! Brother Al, "Thinking Outside the Box: More Epiphanies from Readers" was very interesting! It would seem that the goals of Alexander Campbell, when he started thinking outside of the box, have been largely lost to later generations as too many seek to pack other Christians very tightly into their own little boxes. There simply isn't room in these small, tightly packed traditional boxes to allow for new ideas derived from the study of Scripture. Thankfully, our Bible class is wonderful, and is much more willing to try to think outside the box than most within our congregation. Nevertheless, as open-minded as we seek to be, when it comes down to really questioning a traditional view, the traditional view will almost invariably win out, for those "box walls" can be pretty hard to punch through, especially with all of the traditional "packing" protecting them. So, I keep a bottle of Ibuprofen in the car just for those occasions!! Kicking "sacred cows" definitely has its hazards!! But, I guess you know all about that all too well. Dear Bro. Al, For the most part, my own transformation from legalism to liberty was wrought from books with which I could wrestle (and with which I could even argue with the text). When all of my objections were satisfied, I then had no choice but to agree and to change my mind. This I was happy to do when I perceived just how wrong I was on some matter!! Books by men like Cecil Hook, Olan Hicks, Edward Fudge, and Leroy Garrett became like gold to me. It has become one of my goals to try and condense some of the major truths I have learned into "bite-size chunks" that I could share with others who are where I was. I have had some success, but most do not want to hear such epiphanies. Thus, I now just point people to your web site, as your stuff is much better written than I could ever manage (and we are mostly saying the same thing anyway). I try not to bash anyone over the head with this stuff too much, but simply try to nudge them in the right direction whenever I can. Exposing them to these truths is not the same as shoving them down their throats! I point them to truth, and they can take it or leave it. Sadly, many people just do not want to change, and thus are largely unwilling to look seriously at anything that might challenge their views in any fundamental way. Change isn't hard when you're pursuing truth wherever it may lead, but if you're convinced that you've already arrived at truth, well, that's a different story! Dear Bro. Al, Thank you so much for your latest Reflections ("Thinking Outside The Box") where your readers (and you yourself) shared their epiphanies!! I really appreciated your response to epiphany #1 where you commented, "You do not have to be my twin to be my brother." How true this is!! God's Family is so much bigger than some would like for it to be! Won't it be grand to see the faces of a lot of surprised people in Heaven?! You are such an inspiration to so many!! Please keep up the good work. A special thanks as well to all those who graciously shared their epiphanies through this issue of Reflections. Grace and peace to you, your family, and your church family who allow you to be such a blessing to so many through your writings! !